I am probably an outlier but I want to know whether leaving the card frozen all of the time I do not intend to use it is a supported and encouraged feature. As in… I make only 4-5 transactions per day at best, and they take 30 seconds at most (end-to-end pull out card, pay, wait for confirmation, put card away)… meaning the card is only in use for approximately 2 minutes per day. What I’d like to do, is to freeze the card for the other 23 hours and 58 minutes when it’s not in use. I logically see no reason why one wouldn’t do this… to leave it permanently frozen, and only unfreeze when one knows one is about to make a payment, and freeze immediately after. Is this a practise that is encouraged by Monzo? Any potential issues with doing this? Merchants like Amazon don’t take the payment when you place an order, they only charge your card when they ship the order. The charge is made before you receive an email notification so you wouldn’t be able to unfreeze the card before the transaction’s blocked. If you manage to make an offline transaction I don’t think (I’m not 100% sure) that when the merchant’s terminal goes online to take the payment, the payment will be authorised if your card is frozen. Again, the date / time when that payment will be requested is unpredictable. If another Monzo user wants to make a P2P payment to you or a friend wants to pay you using Monzo.me, they wouldn’t be able to while your card was frozen. Could you share what is is you’re trying to achieve by having your card frozen when not transacting? would any of these features solve the problem that you’re trying to address instead? Whereby I as the customer would have some mechanism to say, in advance of a transaction, this transaction is approved. Not “this merchant is approved”, but “this transaction is approved”. In a dream world this would work on pending and offline transactions (see the pre-auth for the transaction, and permit it later even when the card is frozen again), but lacking that facility right now I’m happy to restrict my Monzo use to in-person live transactions only. In essence, I’m looking to have my bank work in a similar way to all of the security I apply elsewhere in my life. Everywhere else, I operate on explicit safelists to allow things, and I prefer that those are ephemeral and action based, with block being the default policy for everything else. The freezing is presently a reactive tool to mitigate these, I would like a proactive tool. I appreciate my security behaviour may not be the average users’ behaviour pattern. If I had to guess its that there isnt time, within the authorization timeline, to send out to the app “can we bill this” and get a response before timeout. I pre-authorise…presently by unfreezing the card when I walk towards the till, then freeze again after I see the transaction is complete. As PhatPheddy said there isn’t time for manual user authorization, currently Monzo has to respond to their 3rd party processor in less than a second. 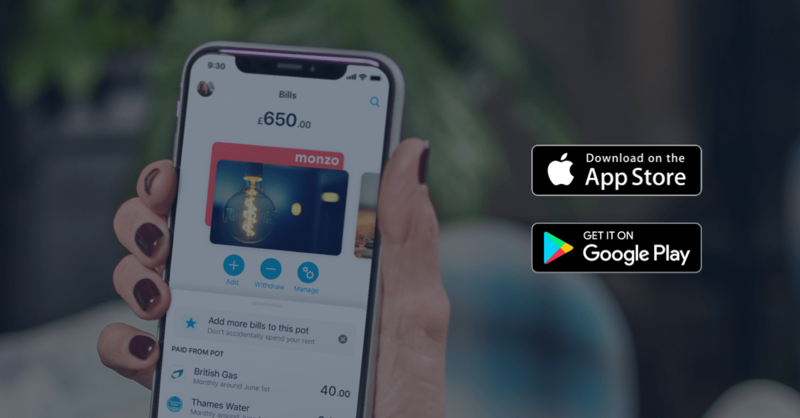 Once Monzo goes direct, the response time will increase to 7 seconds but obviously that’s still not feasible for delayed transactions - when you might not have your phone with you. this isn’t an option unfortunately because it would enable you to purchase goods offline & then block the payment. lacking that facility right now I’m happy to restrict my Monzo use to in-person live transactions only. I expect this is possible but the cost, in terms of the reduced application for your card is generally considered to be outweighed by risk of fraud - which the issuer is liable for anyway (conditions apply, obviously). You both imagine that I asked for “in process” authorisation. I only asked for “in advance” authorisation. I can already use the freeze/unfreeze approach to create a time based authorisation, I already do this. I’m only seeking feedback from Monzo as to whether my behaviour is sanctioned and whether Monzo feel that there are issues here that might emerge. Oh this is solved easily, partition use across multiple cards. I already do this with bank accounts, doing so with cards is not a hassle. Effectively anything that is not a live in-person transaction goes on a Barclaycard as the chargeback capabilities and willingness by Barclaycard to do that are awesome… enough for me to feel very safe and in control for all unanticipated spending. All my web spending is on that card, Monzo is my IRL spending. Truly offline transactions won’t come through as an authorization at all. They come through in the “Presentment” file mentioned in the 3-second-sandwich blog post. These transactions will always succeed, regardless of whether your card is frozen, and regardless of the amount in your account. Even if you’re frozen and it would cause your balance to become negative, it will still go through. I do this freezing/unfreezing all the time as well. Its good to know that if someone does get my card details instead of having a 50% chance of getting a fraudulent transaction in they have 0.01% chance. I have been caught out a few times in a shop without internet though so certainly not fool proof. I too would like to know if monzo sanction this type of usage and whether they’d plan to build on it? If there is fraudulent activity on your card, it is not your responsibility to absorb those losses. That is one of Mondo’s responsibilities as your card issuer (or, by extension, Wirecard etc). Freezing your card all the time will very likely reduce fraud, and it would definitely help Mondo’s bottom line, but it wouldn’t make any difference to yours in the long run (other than possibly avoiding some minor inconvenience of contacting Mondo). Is there not some kind of limits ?? I dont think its as cut and dried as this (tho I did get an encouraging email from Monzo saying similar) with debit cards. With my credit cards it is… With debit cards there is usually some cardholder responsibility depending on time of reporting etc. Its a problem where I spend a lot of my time, not only because it happens, but because asian banks are not as customer service based and theres no functioning appeal or ombudsman, this just shut you out. One mate lost 15 - 20k GBP and another>10k. Add a UK landline to that… I am unable to call an 0800 from overseas and the loss of my phone and card would make lost card reporting impossible with only that number. I have a question regarding the freeze function. I love this feature and I am tempted to keep my card frozen all the time and only unfreeze it when I need to use it (let’s see card cloners try to use my card now), is there any impact/issues with having the card frozen for days/weeks at a time? On the face of it, this idea totally makes sense but I wouldn’t recommend it, for the reasons I’ve mentioned earlier in the thread. The TL;DR is, it will mean that block transactions that you don’t want to block by accident & it’s just not necessary, as Monzo will refund you for fraudulent transactions, very quickly by the look of it. Haha yes i see this question has been asked so thanks for moving it.